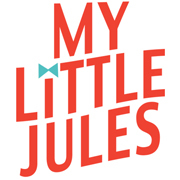 It's time for our What Jules Wears Wednesday post! Peter took Jules to our local library for a kids science event a few days ago. I was pleasantly surprised when I saw that he dressed her up in Mustard Pie Clothing Mia dress outfit and even snapped some cute pictures! This is just one of many reasons why I love him. He knows just the right time and way to surprise me with something sweet - like helping out with our What Jules Wear blog series. Our Safety Harbor library has some pretty awesome programs going on during the summer. I wish I was there for what appears to be a hand-made rocket launch. But at least I get to enjoy it through pictures. 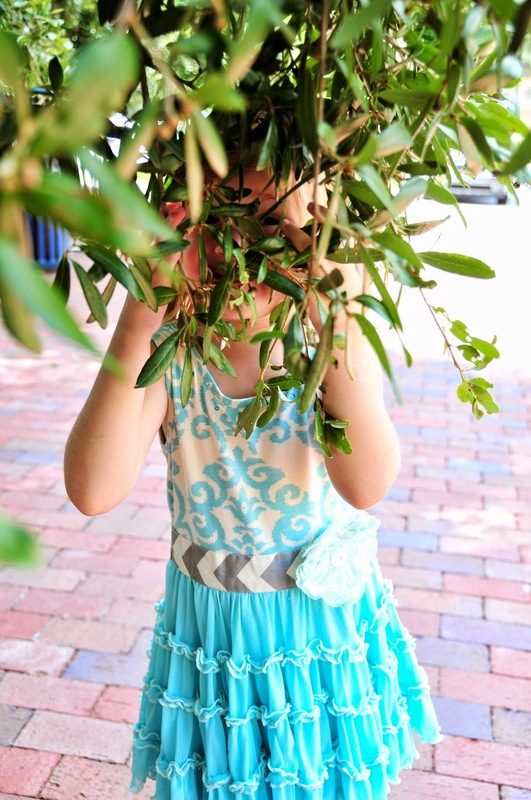 Mia dress in aqua by Mustard Pie is one of Jules favorite dresses from our spring lineup. 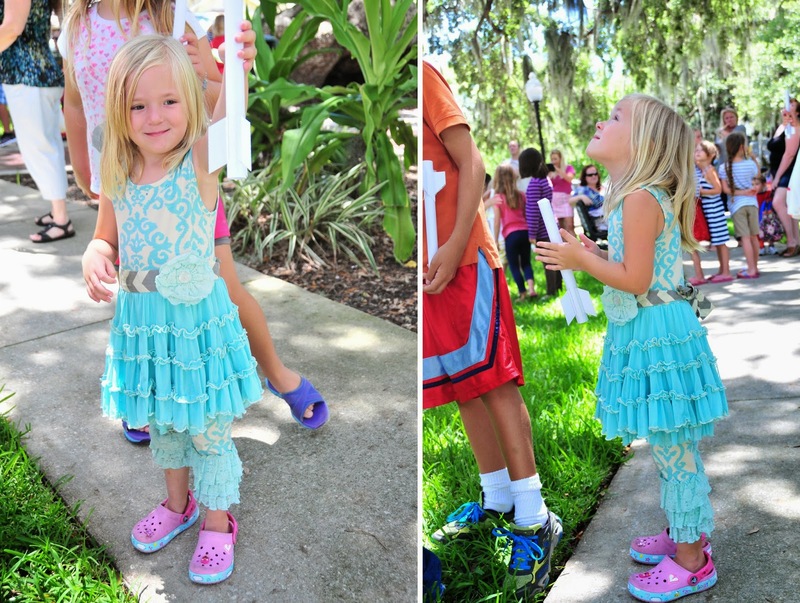 I think it makes her feel like a princess with its sparkly rhinestones at the neckline and fun tutu skirt! Jules has really been into "princess dresses" lately. I personally love Mustard Pie Clothing because our how comfy it is! It is super cute as well, but Jules has owned so many outfits that she refused to wear because they were not comfy enough. She is picky when it comes to comfort. Mustard Pie outfits were never an issue for us. All Mustard Pie spring 2014 outfits are now 50% off. 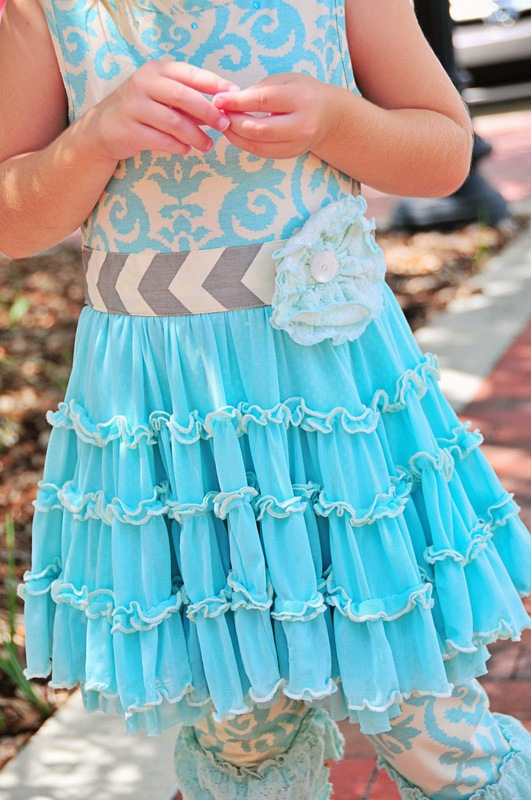 Mustard Pie Mia dress comes in three different colors: aqua, hot pink and lavender. There are also two beautiful Mia dresses in Mustard Pie fall 2014 collection.